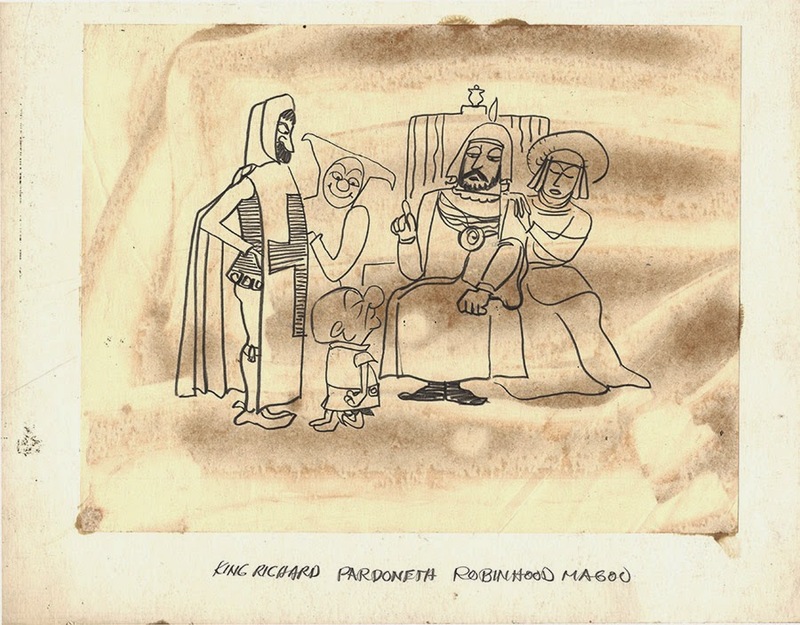 My last post, Mr. Magoo and the Features That Never Were, featured some rare UPA pitch art for the studio's unproduced Mr. Magoo features. 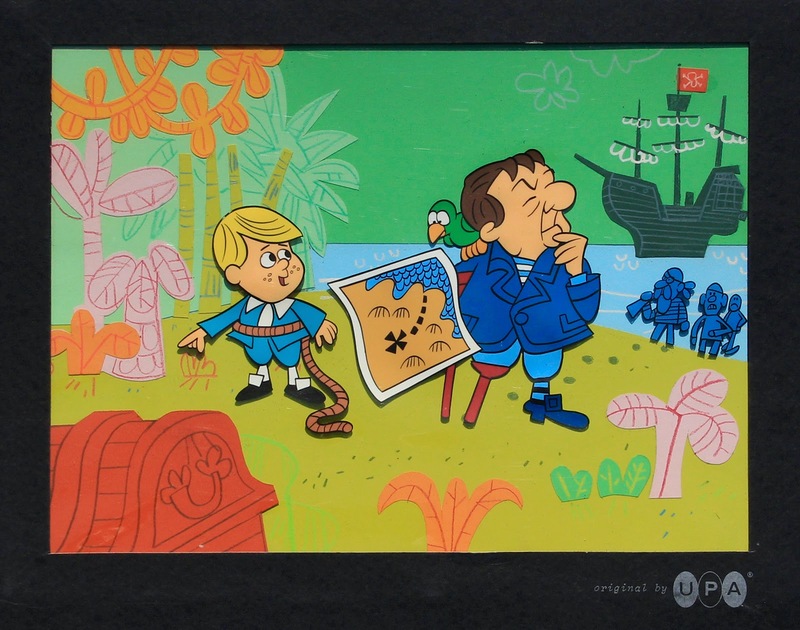 Considering the lineage between the feature concepts and the concept for the 1964 TV series, The Famous Adventures of Mr. Magoo, it seemed only fitting to do a post on the artwork produced to pitch the show to NBC. The 1962 broadcast debut of Mr. Magoo's Christmas Carol had performed well beyond expectations and the network was looking for a followup. 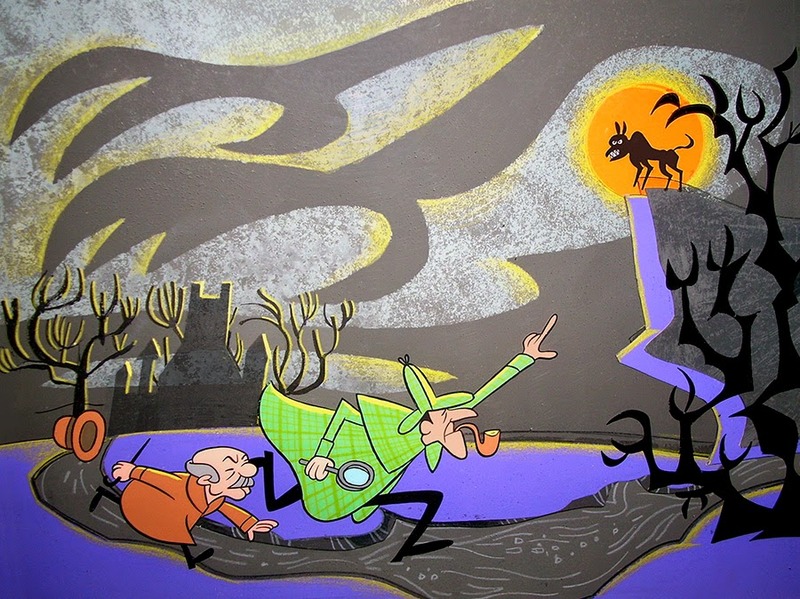 The special had featured Magoo playing a role in a piece of classic literature and considering that all of UPA's previous proposed feature vehicles had done the same, Robin Hood, Don Quixote and 1001 Arabian Nights, it was not a big leap to suggest an entire series based around the premise. Hank Saperstein was a consummate salesman but despite his skills, he still needed some visuals to clinch the deal. 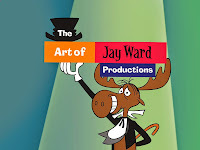 It was most likely Lee Orgel that put together the art that sold the series, turning to Shirley Silvey, who was on layoff from Jay Ward at the time, and Corny Cole, who had produced the concept art that had previously sold Christmas Carol. How many drawings were done by Corny Cole is unknown but about half a dozen have surfaced. 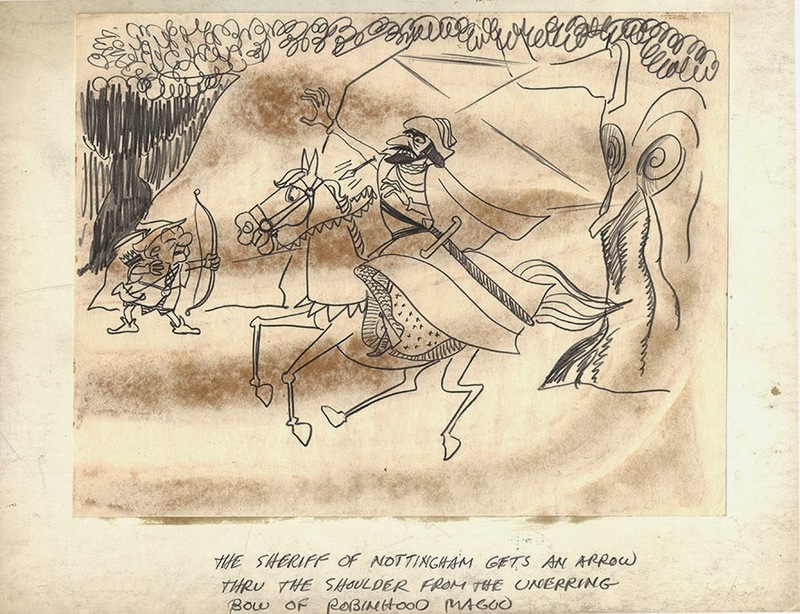 It appears that Shirley did a much larger number of images for a wide variety of stories, although most of the original drawings and setups have been lost. Below is a scan of many of her pieces that were photographed for early promotion, this image is from a brochure sent to NBC affiliates. The setup below, which was reproduced in my book, was listed as artist unknown. Looking at the breadth of the art done by Shirley as well as her drawing style and the use of cut-out background elements and color pencil, it appears that this piece can now be attributed to her. Special thanks once again to the Mago0 Admirer for the idea behind this post. Those who read this blog or who are up on their animation history will know that Mr. Magoo starred in an animated feature, the 1959 release, 1001 Arabian Nights. But how many are aware that it was not the only vehicle considered for a Magoo feature? As with most of film production, there are fits, starts and even different directions taken before arriving at the final destination. So it was with Mr. Magoo and his feature career. 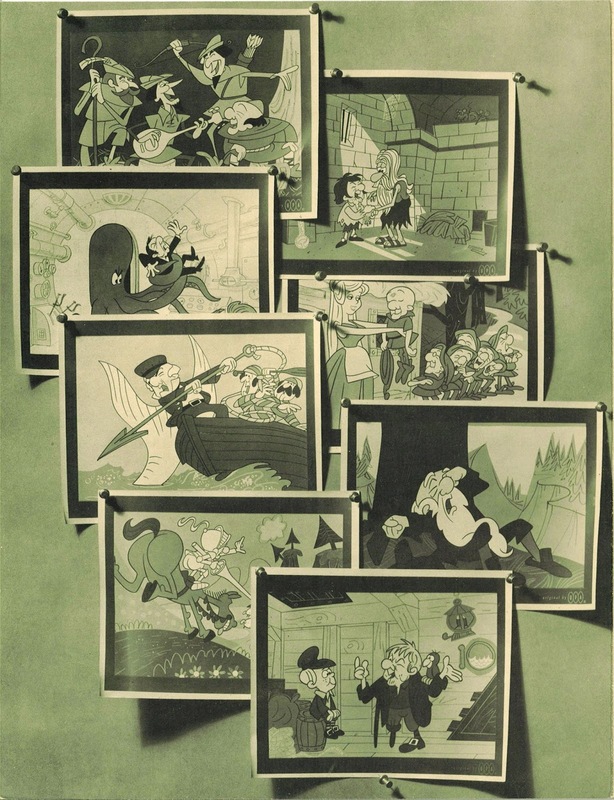 The UPA studio had built their reputation in animation on three things--contemporary art, contemporary situations and the use of human characters, rather than animals, to tell their stories. It was a deliberate rejection of Walt Disney's approach to the medium but when they began to contemplate producing a feature, they unconsciously followed Disney's lead when it came to subject matter. All of their proposed features involved non-contemporary or mythical settings and several went back to classic literature. 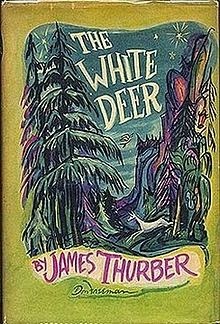 The first to be generate much pre-production work was based on James Thurber's 1945 children's fairy tale, The White Deer. 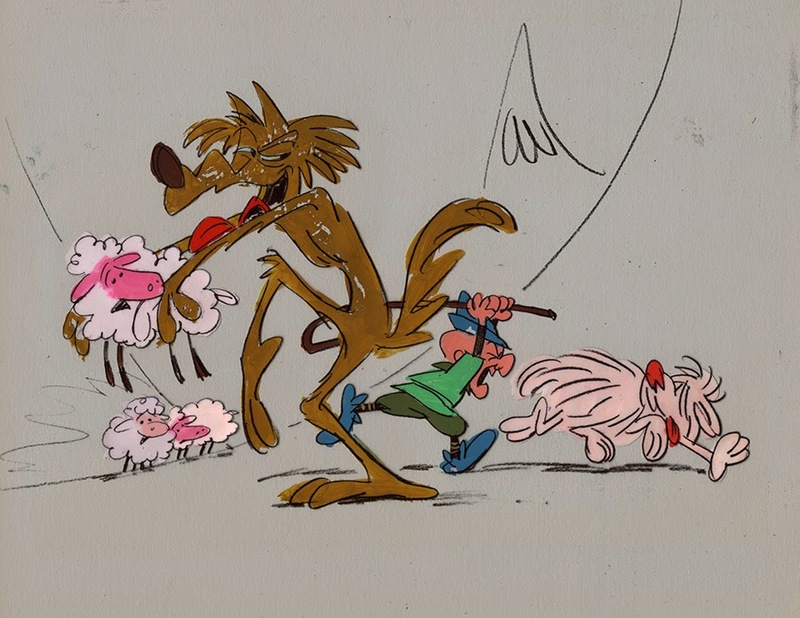 Although the story dealt with something that had become Disney's stock-in-trade, the fairy tale, the studio was quite excited about adapting the work of a contemporary artist like James Thurber. But it was not to be. It wasn't long before Columbia, UPA's distributor, let it be known that they would feel much more comfortable if the studio built a film around the highly popular character of Mr. Magoo. 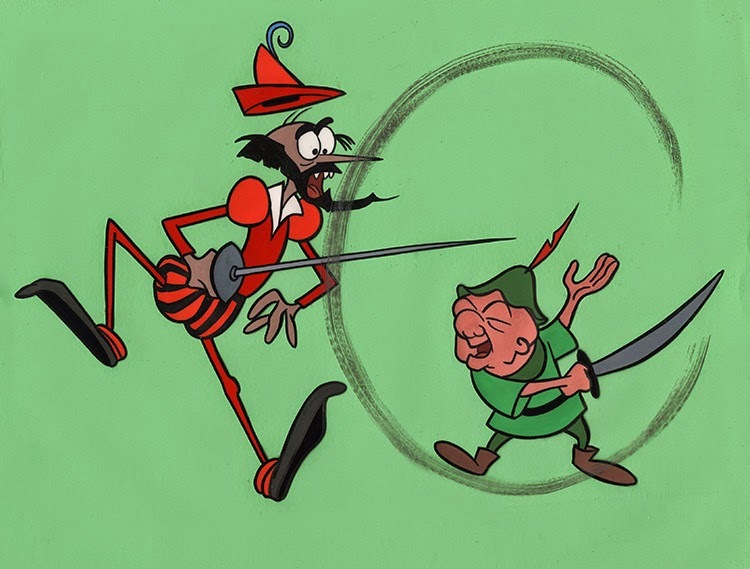 Seeing the Golden Rule in play here--he who has the gold, makes the rules--UPA acquiesced and announced a feature version of Miguel Cervantes' classic novel, Don Quixote of La Mancha with Mr. Magoo in the title role. Although development work was done on the project, Columbia had subsequently entered into an agreement with a Spanish producer to do a live-action film of the novel and sidelined the animated version. 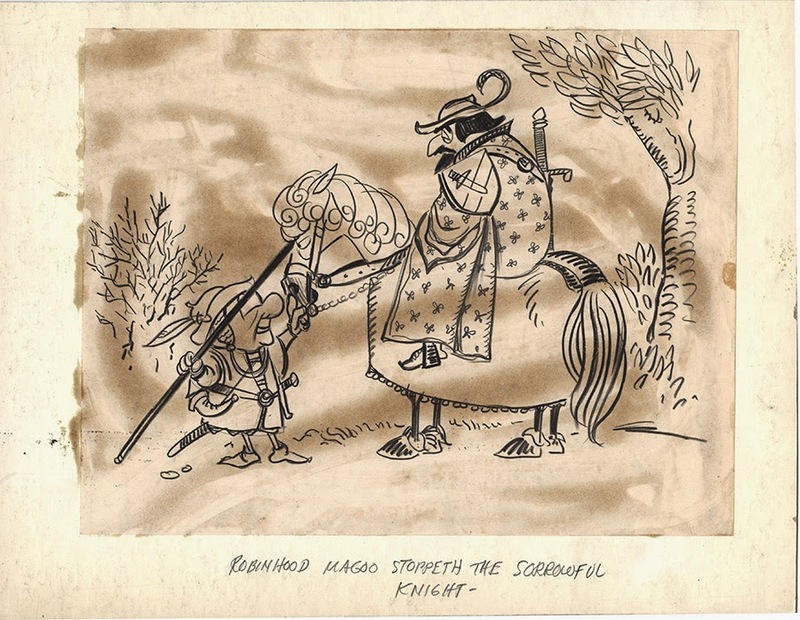 Pitch art for Don Quixote, artist unknown. 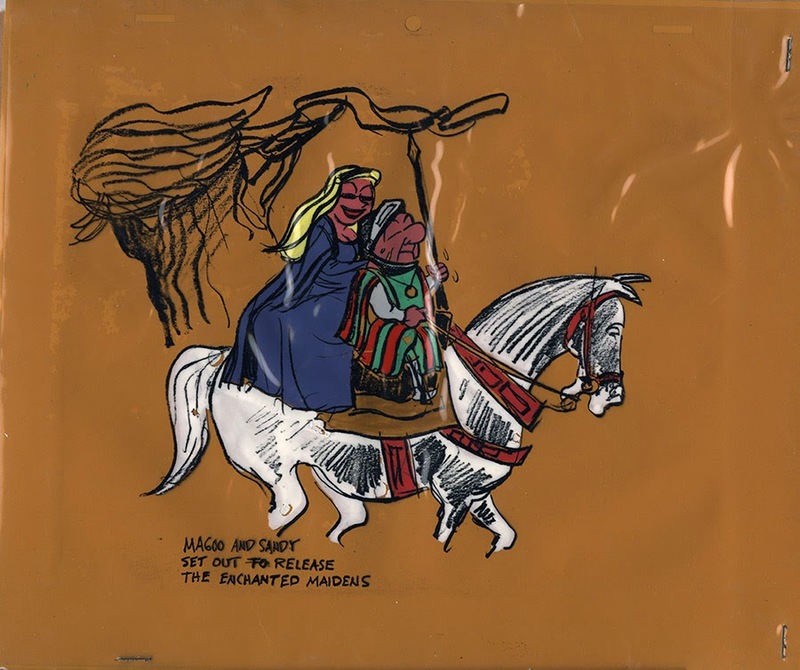 To take its place, two other Magoo vehicles were developed, Robin Hood and 1001 Arabian Nights. When it came time to pick between the two, studio head Stephen Bosustow chose 1001. 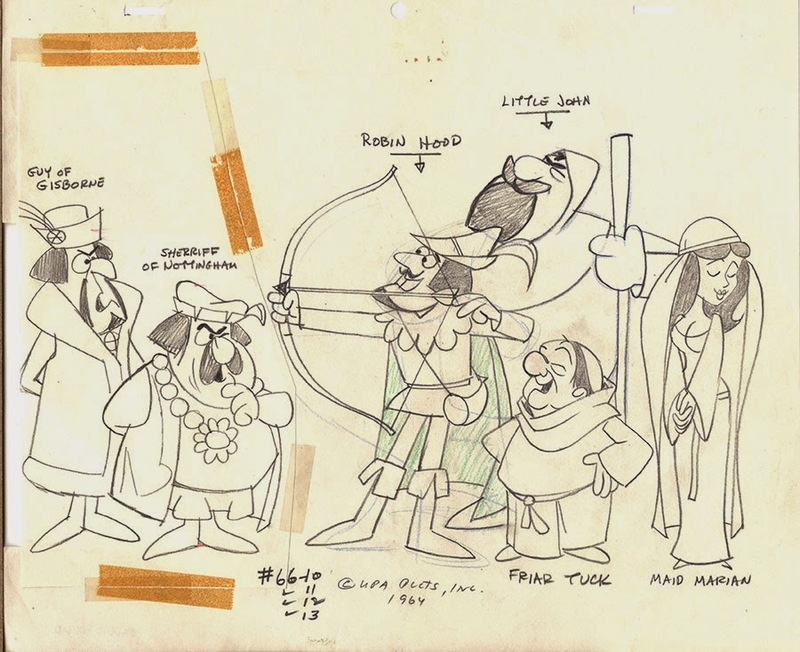 Jim Backus was aware of the Robin Hood project and in an interview promoting 1001, he provided a small peek behind the scenes, saying "We used to talk and we thought Magoo would be funny in ... maybe Don Quixote. He would be wonderful ... because he is tilting (at) windmills and we finally, I think, hit upon the one universal character, the Aladdin theme of the Arabian Nights. So it's the first feature and I hope not the last. We are also toying with doing Robin Hood ... (Magoo) as Robin Hood ... which would be kind of funny, I would think." 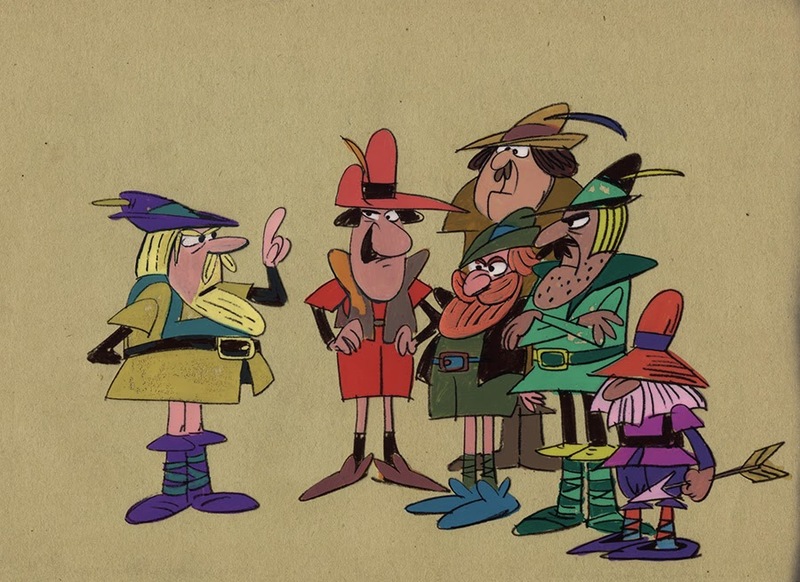 Although a theatrical feature was never produced, "Robin Hood" did later see life as a virtual feature length production, covering a span of 4 episodes for The Famous Adventures of Mr. Magoo just five years later. This time, though, Magoo was no longer playing the role of the title character and was recast as Friar Tuck. Saperstein later edited the four half hours into a complete story and released it theatrically and later the same way on home video. Which leads to an interesting conjecture--was a script written for the proposed feature and did it serve as the basis for the four part TV episode? Saperstein was known for maximizing his return on investment so the idea of recycling an unproduced script would not be far fetched. And innterestingly enough, "Don Quixote" was the only other Famous Adventure to last more than one episode--was this another example of salvaging material from UPA's proposed features? With so little of either the pre- or post-Saperstein UPA archives available, we will probably never know. To read more about UPA's foray into feature films, check out Adam Abraham's essential history of the UPA studio, When Magoo Flew. Special thanks to the Mago0 Admirer for his assistance on this post. 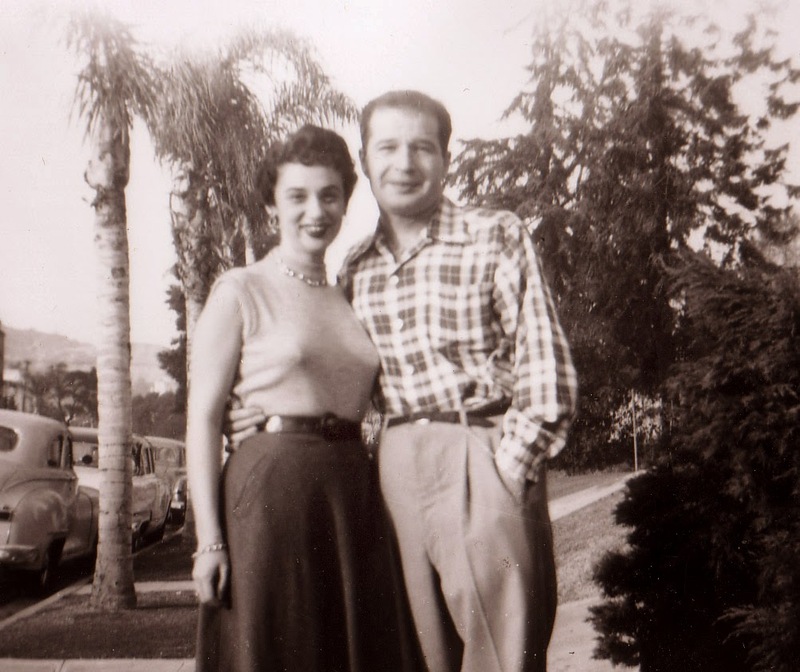 Lea and Lee Orgel shortly after their arrival in California. 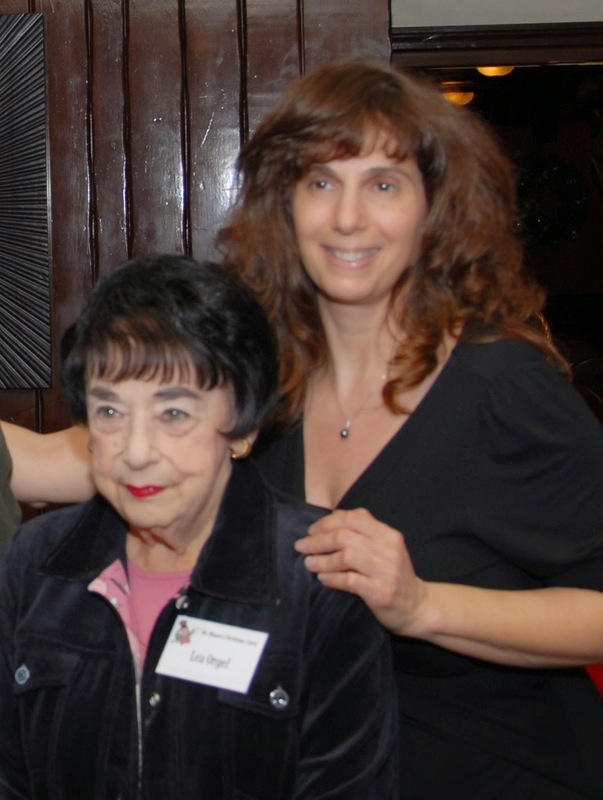 It is with great sadness that I report the passing of Lea Orgel, the wife of Mr. Magoo's Christmas Carol creator, Lee Orgel, who left us early in the morning of September 30, 2014. Although her name would likely not be familiar to any of the readers of this blog or my book, she was the person most responsible for my decision to write the book on the making of Mr. Magoo's Christmas Carol. If it hadn't been for her razor sharp mind and her retention of key documents from the production of the special, there wouldn't have been any story to tell. What I found in interviewing her and in reviewing the documents was that there was a story so compelling it had to be shared with others. Lea freely gave of her time for a number of interviews and generously allowed me to borrow and scan documents and photos for use in the book. Until then, who knew that the groundbreaking special's song recording sessions had been photographed? It was also through her that I met others who had worked at UPA and who could fill me on some of the studio's back story during the Saperstein years. She was never anything but supportive of my efforts to do the book for which I will be eternally grateful. And when I wanted to tell more of her husband's story than I could fit in the book, she dug deep into her files and memories and shared them with me and ultimately, many others through this blog (Lee's profile can be found here). Lea Orgel and daughter JoAnn at the 45th anniversary party for the Christmas special. I think the thing I found to be most inspiring about Lea, though, was her enduring love for her husband, who had predeceased her by a decade. She never dwelt in the past but it was clear to me that they had once formed a team so strong that although the two of them had been separated, the bond would never be broken. Finally, the team is together again. Thank you, Lea, for having entered my life, and thank you, Lee, for the gift of Mr. Magoo's Christmas Carol.